FORT MYERS, Fla.- The clock is ticking toward a deadline for a Fort Myers rehab center to pack up and move out. Sovereign Health, located along East Riverside Drive, does not have the proper zoning permits to operate in its current location. 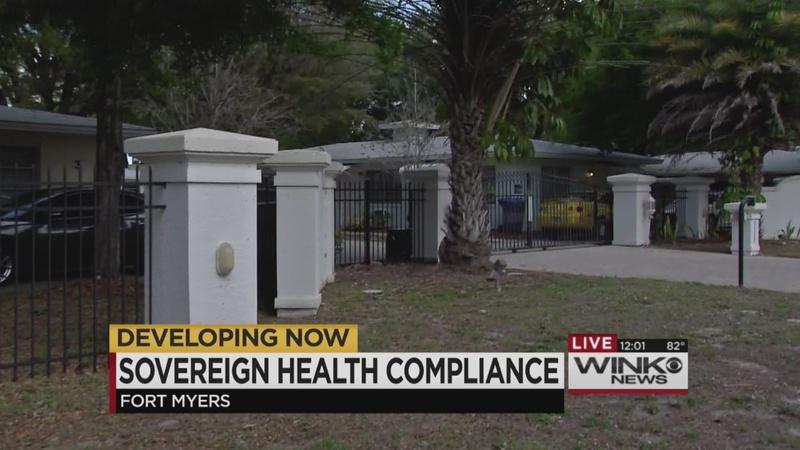 WINK News was there Thursday as code enforcement voted to force Sovereign Health to comply with city code by the end of the day, or stop operating. That means, the company needs a license to provide substance abuse services, or it can no longer offer that service. The city says Sovereign Health did not have the proper zoning permit to be operating in a residential neighborhood. The attorney for Sovereign Health claims they are not exclusively a drug and rehab facility, even though they market themselves as offering drug and rehab services. Neighbors of the facility, say they were lied too and they tell WINK News, the decision to shut down the facility is a big win for them. The city says so far Sovereign Health has not filed the paperwork to be in compliance and that means they are running out of time before it will be forced to shut down. Now, if they don’t comply, patients at the facility will have to move out and the property owner will be fined $250 everyday.